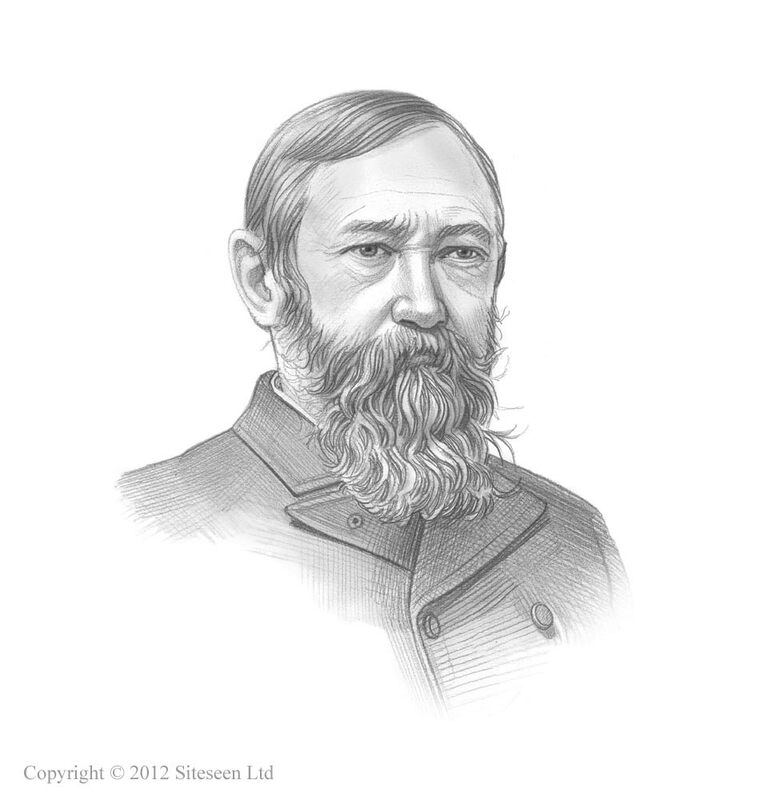 Ellis Island History: Benjamin Harrison was the 23rd American President who served in office from March 4, 1889 to March 4, 1893. One of the important events during his presidency was the opening of Ellis Island immigration center in New York Harbor. Summary and definition: Ellis Island was situated South West of Manhattan island in Jersey City, part of the New York metropolitan area. Ellis Island is the site of the former federal government immigration inspection station for immigrants from different countries in Europe. It has a land area of 27.5 acres and the immigration building is situated on the New Jersey side of Upper New York Bay. The first wood-built immigration center was opened on January 1, 1892 but was destroyed by fire on June 15, 1897 and the second building opened on January 1, 1902. More than 15 million European immigrants were processed through the Immigration Station between 1892 and 1954. The Ellis Island Immigration Station closed on 12 November, 1954 and its functions were transferred to the Immigration Service's headquarters in New York City. Location: New Jersey side of Upper New York Bay, U.S. The following fact sheet contains interesting facts and information on Ellis Island History. It was originally a mud bank in Upper New York Bay in the 1600's. The Native American Indians called it Kioshk, or Gull Island, after the birds that nested there. The Dutch settlers called it Oyster Island, because of the surrounding oyster beds. In 1776, during the era of the American Revolution, the Island was owned by New York merchant, Samuel Ellis, who opened a small tavern on the island that was used by local fisherman. The heirs of Samuel Ellis sold the island to New York State in 1808. The same year, the Federal Government bought "Ellis Island" for $10,000. There were no immigration laws until 1820 when the US federal government started to regulate immigration by requiring each ship to submit a passenger list. Passengers disembarked on any available dock and they were not inspected or recorded. Immigration History: The States had the responsibility of determining the admissibility of immigrants. Up until 1855, passengers were allowed to enter directly into New York City. New Yorkers started to complain about the type of immigrant that was entering their city and feared immigrants would become a financial burden on the city. In the 1880's residents of Manhattan, Brooklyn and Jersey City were complaining about the close proximately of the Ellis Island arsenal, fearing explosion of the powder magazines. In the 1880's immigration to the United States during the 1880s reached a staggering 5.2 million. In 1882 Congress passed the Chinese Exclusion Act, the first significant law to restrict immigration to the United States of America. In 1890 the States turned over control of immigration to the Federal Government. In 1890 Congress made the decision to build the first Federal immigration station on Ellis Island. $75,000 dollars were spent on the project which included doubling the size with landfill. The first immigration center was opened on January 1, 1892 but was destroyed by fire on June 15, 1897. The Statue of Liberty became the iconic landmark for all European immigrants on the last leg of their journey from Europe to Ellis Island and a new life in the United States of America. Annie Moore, a 15 year old girl from County Cork in Ireland was the first to enter the first wooden immigration building on January 2, 1892. She was presented with a $10 gold piece to commemorate her role in U.S. history. The Immigrant Center, which was opened on January 1, 1892, was built of wood and was completely destroyed by fire on June 15, 1897. It is estimated that 1.5 million immigrants were processed at the first wooden building during its 5 years of use. Most of the immigration records, dating from 1855, were destroyed in the fire. Temporary Immigration Center: After the fire, from April 19, 1890 - December 31, 1891, the old Barge Office on the Battery, Manhattan, New York was used as a temporary immigration station whilst a new immigration building was built. The second immigration building opened on January 1, 1902 and still stands today, it was one of the first fireproof buildings ever constructed. The Main Building is built of red brick with limestone trim in a French Renaissance design. The Great Hall was 200 feet long and 102 feet wide. The second building cost nearly $1.5 million dollars and was designed to process the 5,000 immigrants entering the Great Hall every day. Over the following years Ellis Island continued to grow in size and the buildings consisted of 33 structures. It was originally one island of only 3 1/2 acres. It developed into three islands of about 27.5 acres. In 1908 the Baggage and Dormitory Building was completed and the hospital was enlarged. A dining room for 1,000 people was built on the top floor of the kitchen and laundry Building. Immigration Process: Immigrants were subjected to medical and legal examinations during the Immigration Process. In 1910 the Angel Island Immigration Station opened. On July 30, 1916 New York harbor was rocked by the Black Tom Explosion (caused by saboteurs during WW1) and immigrants at the Ellis Island immigration center had to be evacuated to lower Manhattan. In November 1954 Ellis Island was closed and most would-be US citizens were free to enter the country without inspection on arrival. More than 15 million immigrants had passed through its doors. In 1965 President Lyndon Johnson declared Ellis Island a national monument. The Statue of Liberty-Ellis Island Foundation completed a major restoration program and the building was opened in September 1990 as an immigration museum and now receives almost two million visitors a year.